Discover the exciting side of Rexburg! Whether you’re a brand-new freshman at BYU-IDAHO a seasoned senior, or a fun loving Rexburg local How to Have Fun in Rexburg is the one stop source for find fun things to do around here. 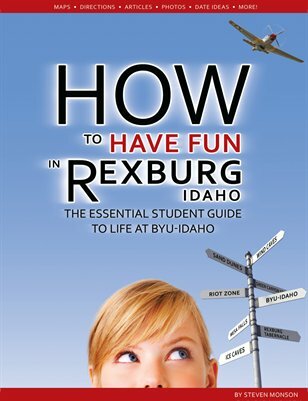 This book covers local hikes, swiming holes, theaters, museums, concert venues, golf courses, shopping centers, restaurants, and a whole myriad of fun things to do while you're in Rexburg! This is more than just a list of things to do. The book includes pricing information, custom maps, driving directions, and detailed info about all the popular (and overlooked) destinations in the Rexburg Area.